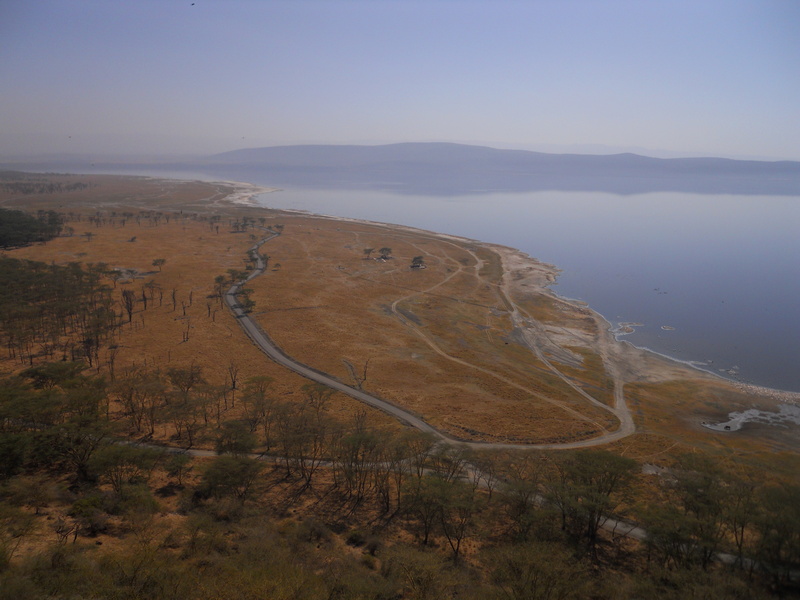 Kenya | Where is Yvette? Anyone who visits Nairobi will tell you that it’s not a very interesting city, but the one exception to this for me was the David Sheldrick Elephant Orphanage on the outskirts of the city. 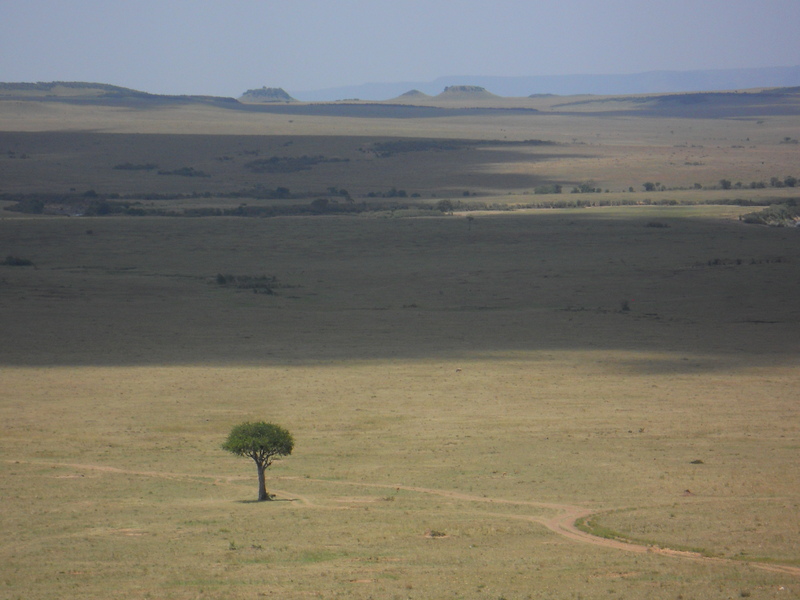 In short this is where orphaned elephants from all around Kenya come when their mother dies of disease/ is poached/ the little one falls down a well, and after three years at the orphanage the little guys are released back into the wild to various elephant herds. The orphanage is open each day from 11am-noon and costs something on the order of US$5, so well worth it as this was perhaps the cutest thing I’d ever seen! 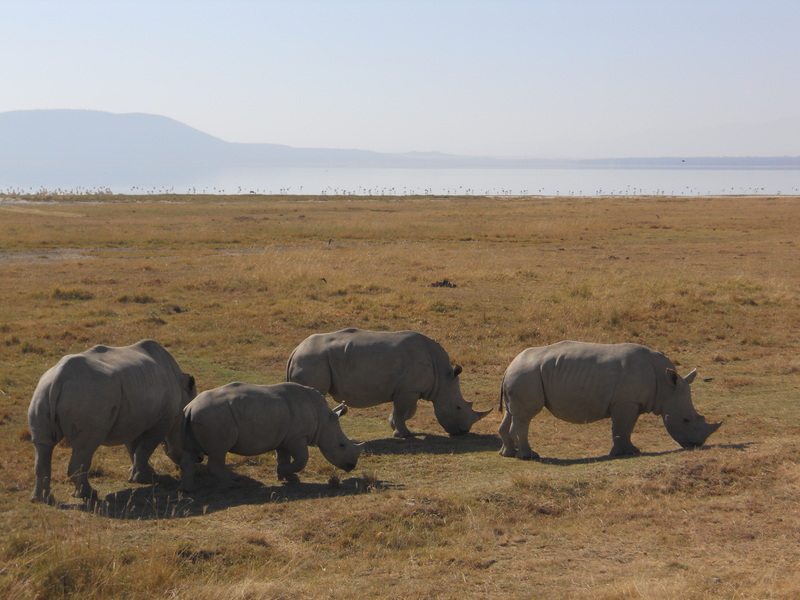 The biggest safari moment for me however were the rhinoceroses- we saw eight of them in the park, and many were very nearby just like in this shot! The first thing you learn about safaris is you never see rhinos- they’re very rare due to poaching and are shy so they often keep away from the roads and all you see is a rock-like thing in the distance someone assures you is a rhino. Seeing eight rhinos is already more than I’ve seen in all my years of safari-ing, so trust me when I say this is a big deal. Neat little park, only a few hours drive from Nairobi. Certainly worth a visit if you’re in the area. 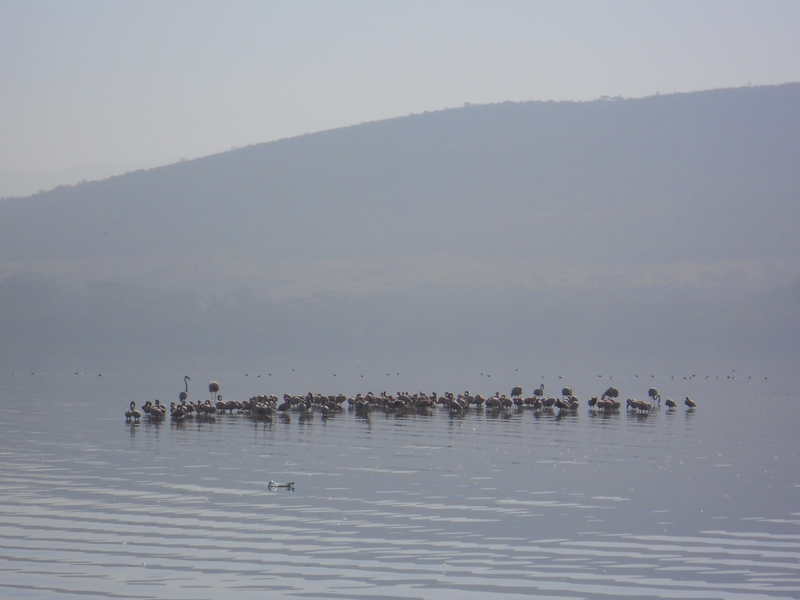 Posted from Jinja, Uganda- the source of the Nile!!! Not one but two gigantic lion prides, and a lioness who was busy stalking her prey until the safari trucks cut in front of her (illegal but unfortunately common around here). 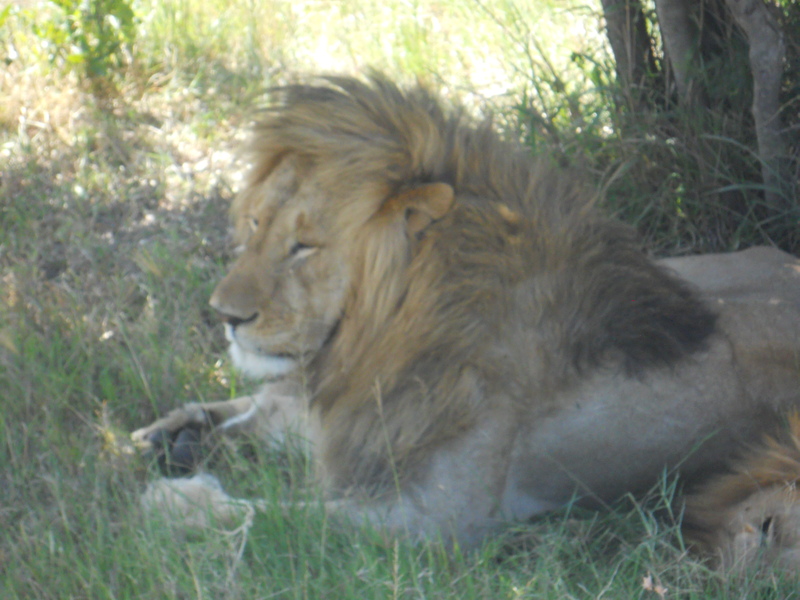 I’ve never posted a picture of a male lion before though and this guy was so wonderfully lazy I can’t resist! 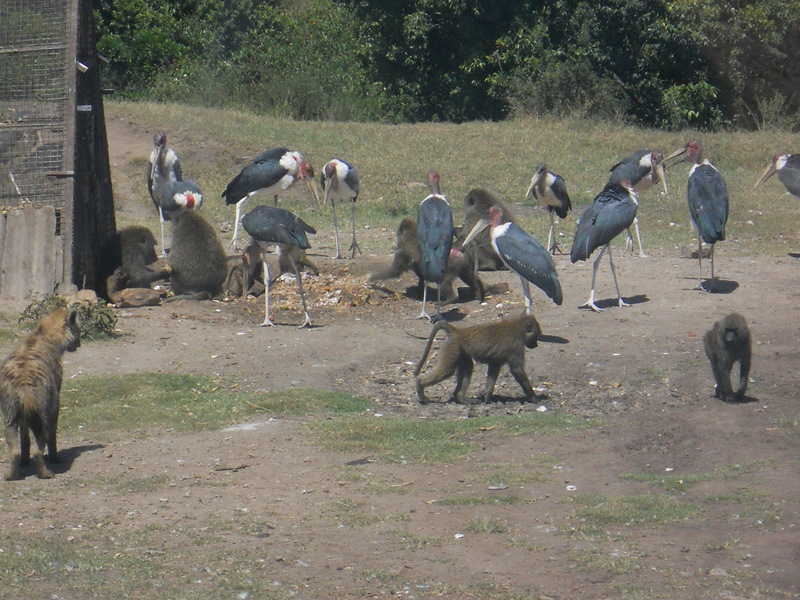 A hyena and a bunch of baboons and Maribu storks (closely related to their cousin in Europe who winter down here) checking out the food near a hotel’s compost heap. Not exactly natural, sure, but I love seeing multiple species together so here we are! 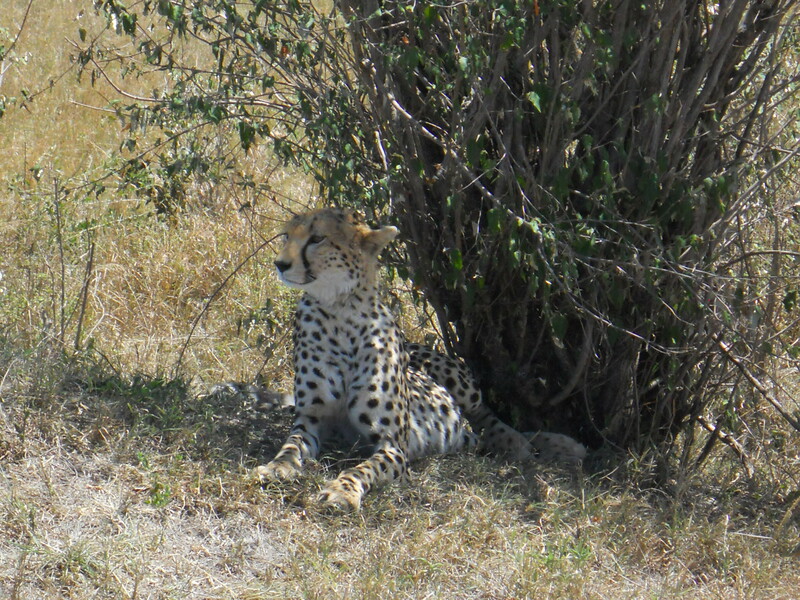 A cheetah panting in the midday sun as you surely would if YOU had to wear a winter coat in the middle of summer. Such a beautiful creature, we were so lucky to get so close and share some time together (though he spent most of the time panting like a dog…). 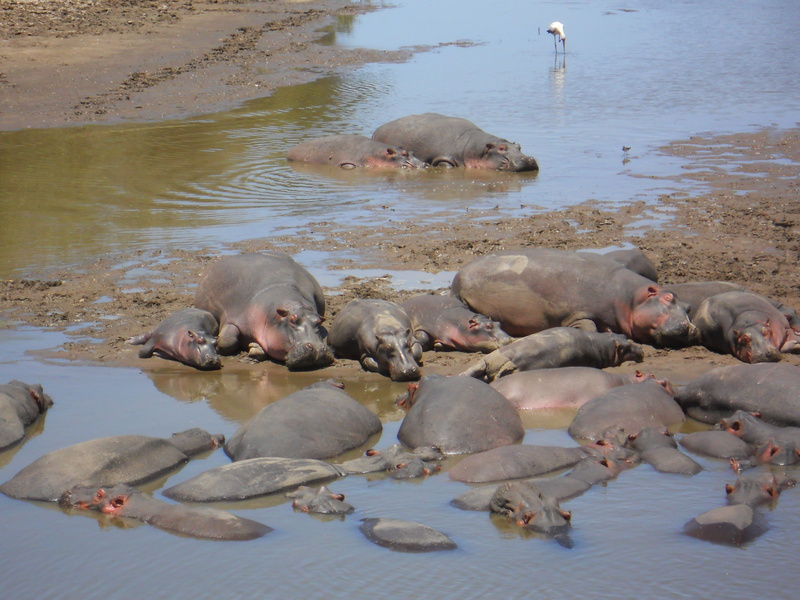 The Masai Mara has th most giant hippo pools I have seen in my life. You rarely see them out of the water in other parks because like us they can sunburn, but here it appears to be no issue. 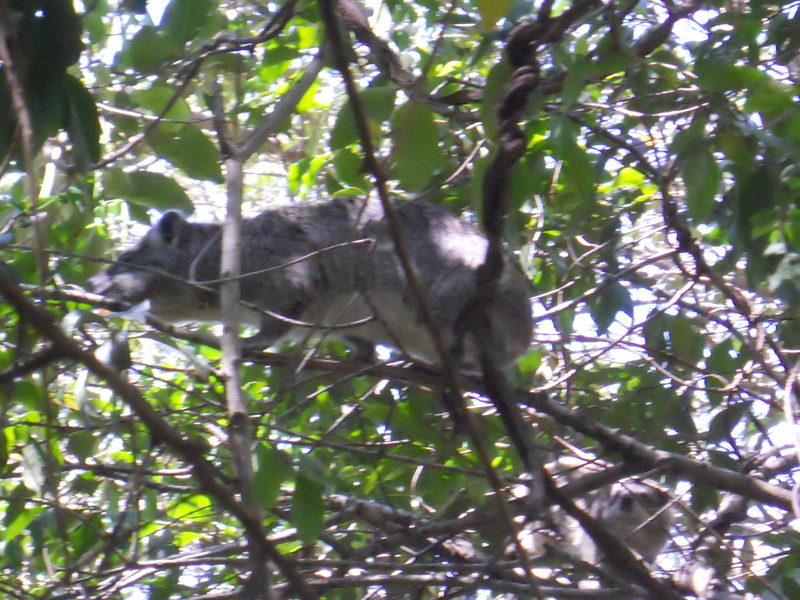 This guy excited me because after this point new species are always exciting- a hyrax! This is doubly exciting actually because this rat-looking thing is actually the closest related relative to an elephant- I know, what? !- so they’re rather neat to see in order to contemplate the strangeness of evolution. After all, whatever strange beast thought to give us the elephant gave us the hyrax, and what kind of world would we be in without that? 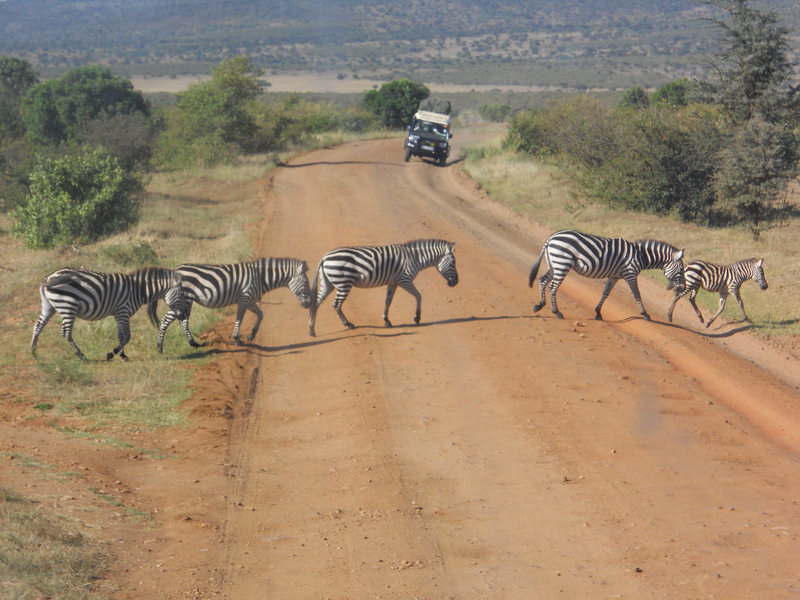 A bona-fide zebra crossing. I really crack myself up sometimes. 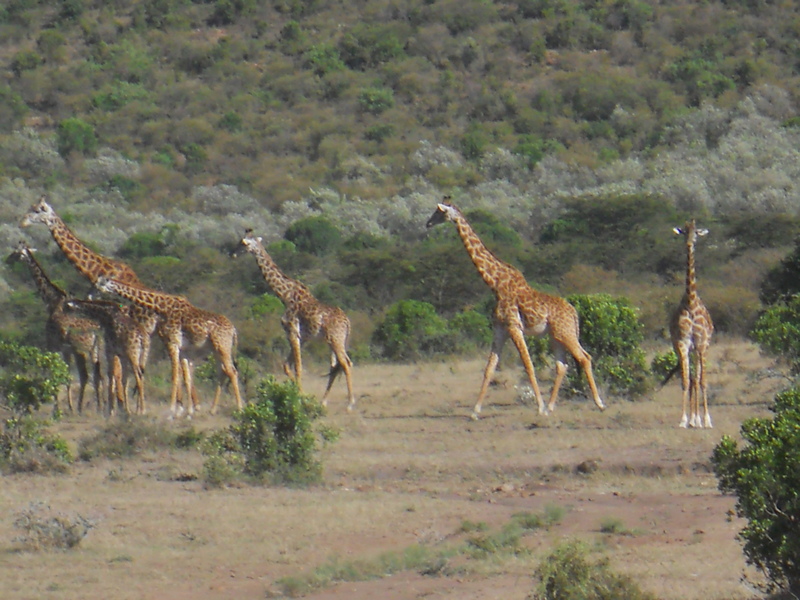 Last but not least, a whole mess of Masai giraffes. We saw about 12 in this herd, two fighting each other and the rest just cruising through the underbrush with their heads sticking up like periscopes. 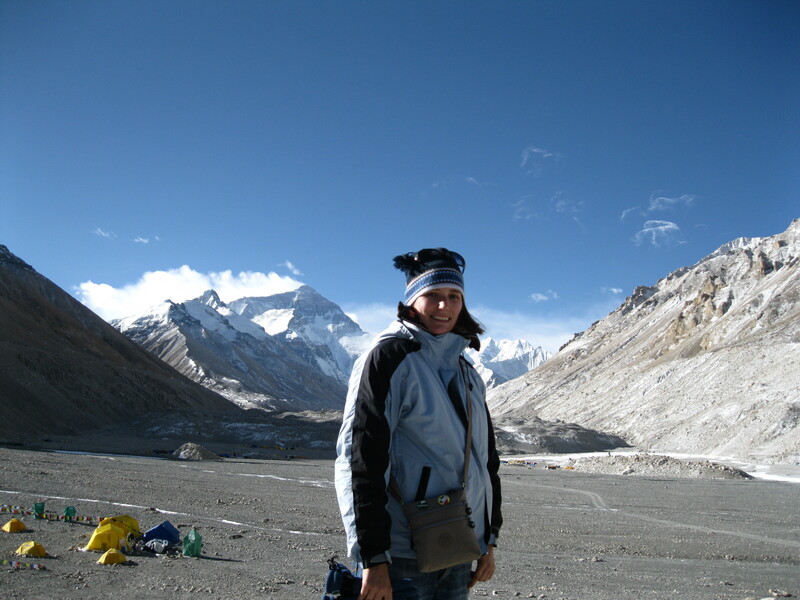 I’d never seen anything like it and that’s the great thing about safaris, you never run out of amazing things to see! Posted in Kenya, RTW #2, Science!